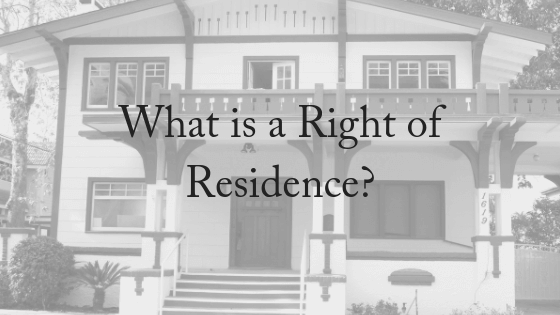 What is a Right of Residence? A right of residence is created when you include a clause in your will that gives a specific person the right to live in one of your properties for a specified period. The most common scenario for a right of residence is giving a surviving spouse the right of residence for the rest of his or her life. You might also choose to give a child a right of residence until they reach a certain age or get married. However, a right of residence can be challenged as part of contesting a will in court. In Thompson v Thompson  VSC 706, the second wife and widow of the deceased challenged the will, seeking further provision from the estate of the deceased. The deceased died on 10 August 2013, aged 93 years. The deceased was survived by his widow and his two adult children from his first marriage, aged 67 and 68 years old. The deceased and his widow began living together in 1979 and at the time each owned their own properties. In 1980 they sold their properties and bought a property together in Templestowe and later were married in 1987. In 1997 they sold their Templestowe property and used the proceeds to purchase an apartment in Collingwood which they own as tenants in common in equal shares. In the deceased’s will dated 12 May 1995, his widow was given the contents of their home, the deceased’s car, the sum of $15,000 and a life interest in the deceased’s half share of the Collingwood apartment. The deceased’s children were given the residue of his estate in equal shares. The deceased’s estate as at the trial date was in the sum of $673,000.00. The second wife sought further provision from the deceased’s estate by way of an absolute interest in the deceased’s one half share of the Collingwood apartment, instead of the life interest. The deceased’s children argued that their stepmother be awarded an extended portable life interest in the deceased’s one half interest in the Collingwood apartment. The Court assessed the need of the widow in comparison to needs of the deceased’s adult children. The Court examined the obligation of a deceased to his widow and that it was at least, to ensure that she has a roof over her head. “That roof has been provided either by matrimonial homes being awarded absolutely, sufficient funds to purchase another suitable residence, a life interest in a property or even a mere right of occupancy. “The normal duty of a testator, expressed in traditional terms, is to provide a widow with the security of an appropriate home in which to live, a secure income, and a fund with which to meet unforeseen contingencies”. The Court looked at the deceased’s obligations to his second wife and his obligations towards his adult children by his first wife. The Court acknowledged that it was not uncommon in second marriages for both parties to preserve assets to be left to their respective families. The Court noted that the deceased wished that his adult children should benefit from his estate after the death of the widow. The Court held that further provision should be made for the widow from the estate of the deceased by providing her with an extended portable life interest in the Collingwood apartment. This provided a more flexible arrangement for the widow as she is able to stay in the apartment for as long as she needs, and then if required, she may use the value in the house to fund an accommodation bond at a retirement village. This also preserved the deceased’s wishes that his financial interest in the apartment passes to his children on the Plaintiff’s death. A right of residence is created as part of your estate planning and can be customised to your specific needs and circumstances. For example, you can specify that the person given the right of residence must pay rates, water rates, maintenance costs and so on, or you may leave a fund to be held by your executor to pay those things for as long as the person actually lives in the property. A right of residence clause can include an arrangement whereby the property can be sold and a new smaller property, home unit or retirement village unit purchased in its place in case the resident wants to downsize. 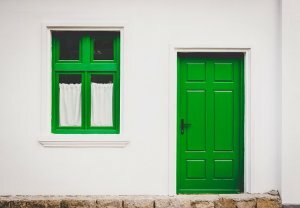 A right of residence clause will normally state that when the person having the right to live in the property dies or ceases to live in the property, then the property must be sold and the proceeds of sale distributed however you choose to specify. Like the rest of the will, you can revoke or update a right of residence as your circumstances change. We recommend that you update your estate planning every five years or upon a significant life event. This area of the law is complex, so make sure you speak to a specialist in wills and estates. For your FREE, 10-minute phone consultation, please contact us today.